Dr Ralph Willcox earned his doctorate from Oklahoma University College of Dentistry in 1985. In order to stay up to date on the latest advancements in the field of dentistry, Dr. Ralph maintains active membership in numerous prestigious professional organizations such as the American Dental Association, Oklahoma Dental Association, and the Oklahoma County Dental Association. He attends numerous educational courses throughout the year to ensure our patients receive the most up to date treatment available. Dr. Ralph has been voted by his peers as one of Oklahoma Magazine's Top Dentist in Edmond for several years running and was inducted into the American Academy of General Dentist in 2012. Dr. Ralph enjoys working in the mission field both locally and internationally and serves on the board of One World, Inc. Dr. Ralph married his high school sweetheart, Jayne in 1979. They have 3 married children; two sons and a daughter; 5 grandsons and 2 granddaughters. In his spare time he enjoys spending time at Lake Eufaula with his family. 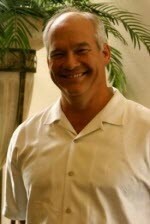 Dr. Vince Willcox began practicing in 2007 alongside his father, Dr. Ralph Willcox. Their dental practice, Edmond Dental Associates, is a state-of- the-art practice providing services for all ages, and includes preventative and restorative services, digital X-rays, cosmetic procedures, implants and Invisalign. Working with a wonderful team, seeking educational opportunities and making patients feel at ease make this family friendly practice one of a kind. Dr. Vince graduated from OU School of Dentistry in 2007 and has enjoyed serving as a delegate for the Oklahoma Dental Association. He credits his growing practice to the hard work of his team members, his wonderful patients and God's blessing. Dr. Vince enjoys being involved in his church, Our Lord's Community Church, where he an his wife serve as community group leaders. He also enjoys golfing, flying, and coaching his little boys' baseball teams.